The Masar Ibrahim al Khalil offers travelers a rare opportunity to go beyond the headlines and the stereotypes, to get away from the ordinary Holy Land tours, and to explore for themselves the remarkable landscape, hospitable people and culture of Palestine, breathtaking landscape and ancient historical sites. The Masar (‘The Path’) provides a rare chance for visitors to be welcomed into ordinary Palestinian homes, to share a homemade traditional meal and listen to stories of traditions and customs, and to learn about the daily lives, concerns, and hopes of the people. Palestine is an extraordinary land. Take that first step to walk the Masar, and it is guaranteed that you will be rewarded with a life-enhancing experience. 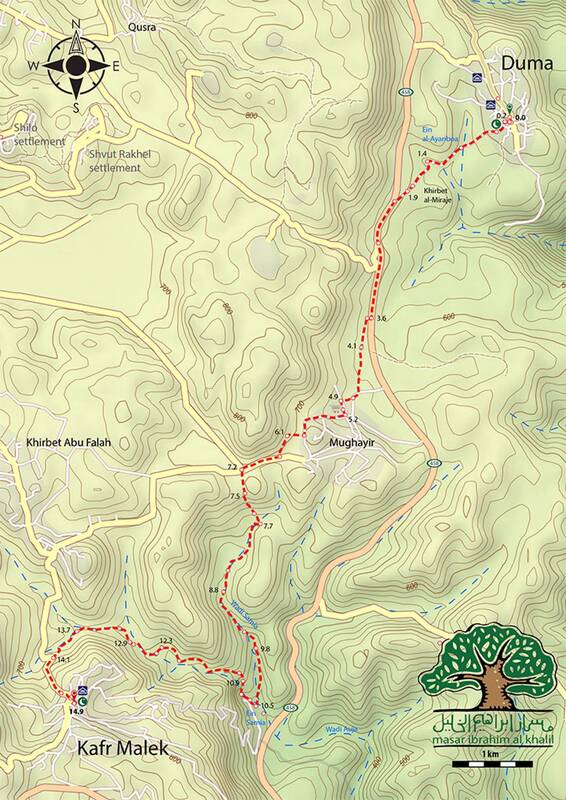 The northern trail starts in Nablus and ends in Taybeh, and is based on four days of walking with mini bus transfers to and from the trail. Meet at the Jerusalem Hotel, 4 Anatara Ben Shaddad St., East Jerusalem, near the Damascus Gate for an early morning transfer to Nablus. 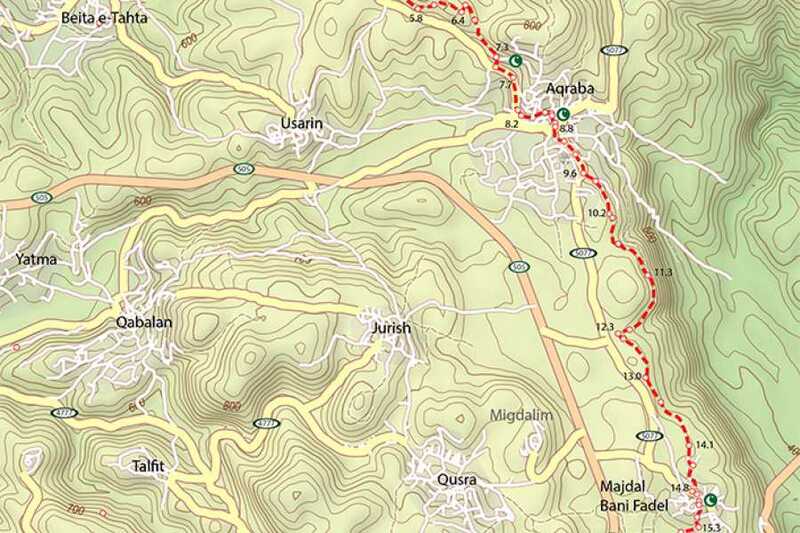 In the afternoon, transfer to Huwara, on the outskirts of Nablus, then continue walking to Awarta. The village is 8 km southeast of Nablus. 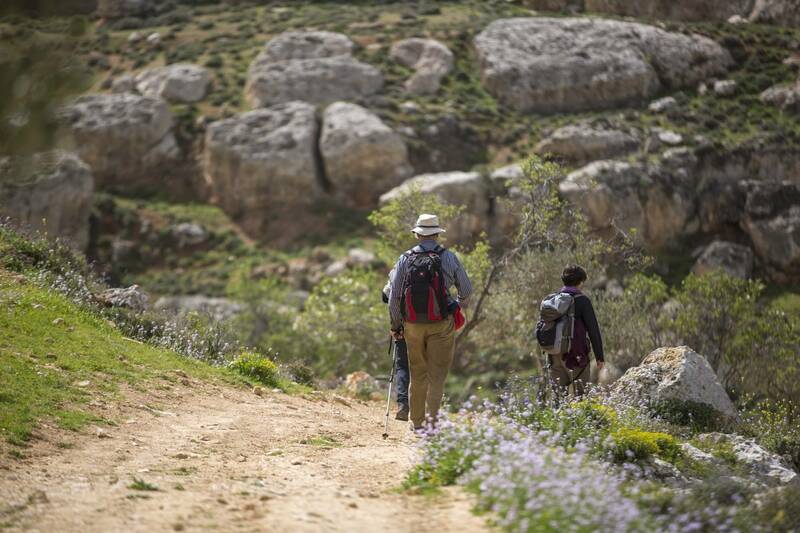 Leave Awarta in the morning for a full day’s walk to Duma, visiting Jabal Awurma and the villages of Aqraba. 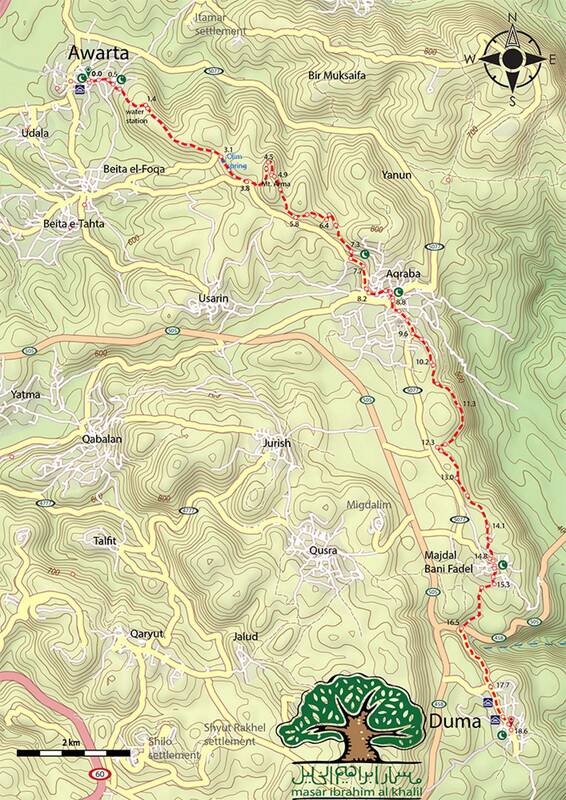 Walk through Majdal and Bani Fadil along the way. Walk from Duma to Kufr Malek passing through the village of Mughayyar to Ain Samia. Finally, a steep final ascent to Kufr Malek. 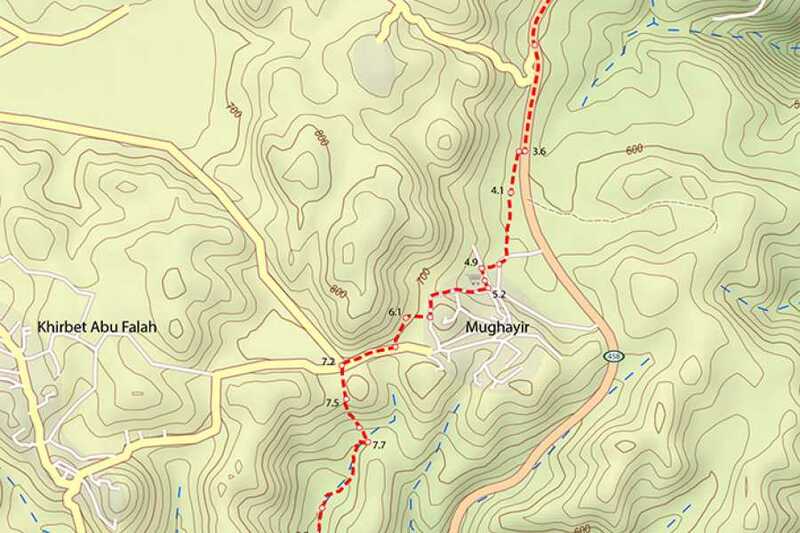 Hike from Kufr Malek to Taybeh. Late afternoon transfer back to Jerusalem or Bethlehem. a full day’s walk visiting Jabal Awurma and the villages around Aqraba, which is mentioned in the Bible as ‘Akrabbim’, meaning "scorpion” in Arabic. visit the mosque which was built of ancient stones in the village center, which according to local tradition was originally a Byzantine-era church. Greek inscriptions and a cross are still visible. visit the archaeological site of Ain Samia. meet members of the local women’s union. visit the ruins of the 4th century Greek Orthodox ancient church of St. George.